Helsby RC Xmas night out – Saturday 10th December, meeting at Helter Skelter at 7.30pm, Christmas jumpers a must!! 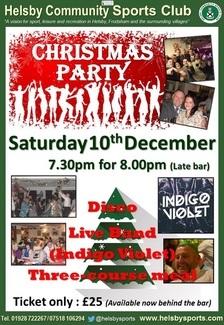 Sat 10th December – Helsby Community Sports Club Xmas Party with a meal & band. 10th & 11th December – Four Villages Residents Letter Drop – We have leaflets to give out along the route advising of the road closures. Laura has a team for this but would always welcome more help. Laura@baynham-Hughes.com. Entries are building up slower than normal this year and we could do with advertising our race as much as possible. We have some fliers to give out which are on the front desk at the Sports Club or available from Laura. If you can distribute them at races you go to, work, sport, leisure centres, clubs, community centres, shops etc it would all help reach our limit. 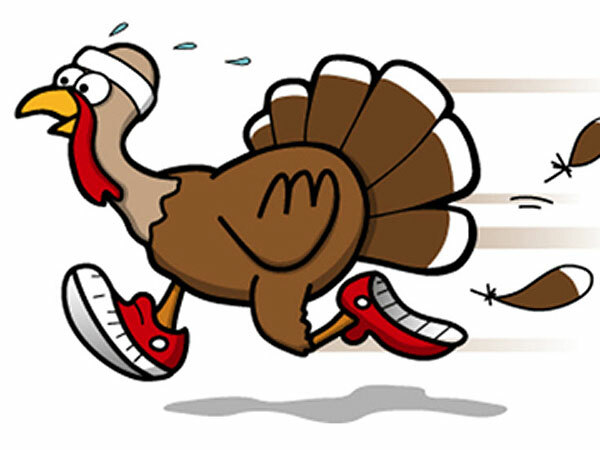 Xmas Day – Delamere Park Run 9 am (TBC) , to work up an appetite for your turkey dinner! Xmas costumes welcome! Sat 14th Jan – Four Villages Set up Morning, very important so please come along and help set up this year’s race. Many hands make light work and it’s great fun too seeing what lies behind organising such a large race. More info from Laura in the New Year. 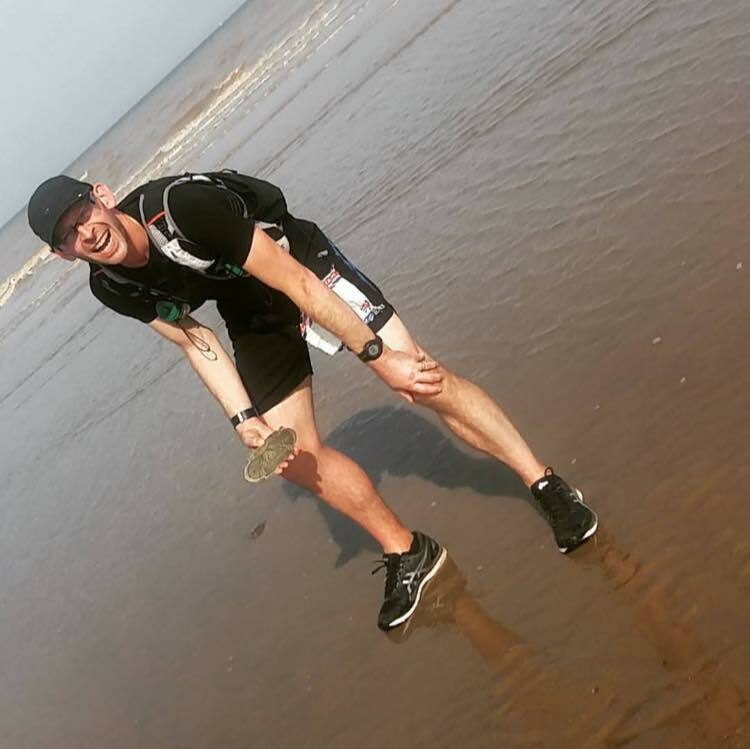 New Thursday Night Speed Training at Runcorn – Colin & Roy are now running speed sessions from Tudor Road Runcorn, 6:30pm, WA7 1SX each Thursday. Rotating through each month, the sessions will include 4 x 1 mile repeats, 5 mile run (options are fartleks, tempo runs etc), 6 x 1k repeats, pyramid session, 5 mile run. For more information contact Roy Gaskill & Colin on facebook or col808@hotmail.com . Hope to see you out and about running on the run up to Xmas and into 2017. 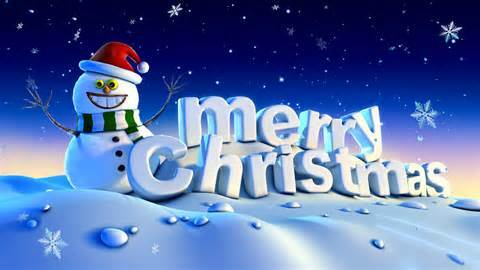 A Happy Xmas and an enjoyable New Year to you all. “This Sunday seen 21 of us take a trip over to Birkenhead for Race 3 in the Borders League Season. A lot of clashes with the Cross Country and Fell Counters meant a lower than normal turn out but there was still enough of us to make sure we didn’t get any penalty points. Neil & Ian battle it out! A nice cold winters morning greeted us for what is if you ask me one of the more boring races of the season, 4 laps of the park, a truly inspiring run, so even more made up we got the numbers that we did on the day. Some great individual performances, seeing Colin Thompson come home 17th, followed by myself and Neil Finnegan making up the top 3, but my man of the match performance for the men was Ian Rutherford, who pushed Neil all the way to the line, so much so he made him sick! Top running by Ian who is just getting stronger and stronger each week. Us men finished 6th of the day, but still remain in 5th just out of the relegation places. Also glad to see Ian Hamling didn’t get too hurt with the little cut he had on his hand from a fall, he’s a brave lad isn’t he. The ladies ran incredibly well coming in 3rd on the day which means they are probably only 1 more race away from dragging themselves back from the foot of the table and slowly climbing back up to where they belong near the top. Laura BH, Alison Halsall and Flo Jo all pushing each other really hard to finish 1,2,3 for the ladies. Race 4 will see us go to Deeside on Sunday 22nd Jan, it’s a week after the 4VHM so another good turn out would be appreciated, and hopefully we will get it. “What a cracking race it was too. A beautiful, winter’s day saw 5 of the Fellsby contingent make their way south down to the small village of Cardington in Shropshire. The race is run over 4 hills of varying gradients, from the steep, nearly hands and knees climb up the Lawley, to the last gentle ascent over the Wilderness. I had done this race in 2013 and remembered really enjoying it. What I hadn’t remembered was that it is actually quite tough, covering 9 miles and 2600ft of ascent. The race starts in a field, with a sprint to a gate, and then meanders over to the Lawley. Having climbed the Lawley, we were treated to a frosty ridge run, with fantastic views over the Shropshire countryside, followed by a fast, grassy descent. I found the ascent up Caer Caradoc particularly tricky this time as it was steep, relentless and slippery in places. It was worthwhile though as at the top, we were once again treated to a ridge run, with fantastic views, before the steep descent to the stream. A bit of flat running took us to the start of the 3rd ascent, starting on the side Helmeth Hill, past the Gaerstone Rock and then finishing with the checkpoint on Willstone Hill. At this point, I took the opportunity to take in where I’d been as you could see the whole course. The descent off Willstone Hill was very steep and very slippery. Someone mentioned that in races gone by, people had used bin liners to slide down some of these hills and to be honest, a bin liner descent would have suited me better!! The last sting in the tail is the gentle ascent over the Wilderness, before the dropping down over the fields to the finish. I had a good race, knocking 4 minutes off my previous time. 251 finishers, last finisher 2:51:44. Thanks to Andy for standing out in the cold taking pictures! Standing on the start line in perfect running conditions David and I wished each other well and we set off around the athletic track alongside 1500 runners, David leaving me in his wake. After leaving the track, we ran through the park for a mile or so then hit the pavements, roads, housing estates, farm tracks and trails of Stockport and after a final long hill at mile 8-9 re-entered the park and did a lap of the track to finish. A well organised race with lots of marshals – would recommend it. Please see the consolidated results from the Saturday parkruns. Well done to all who took part. That’s all this week, thanks again for all the fab reports. Anything missing please let me know.